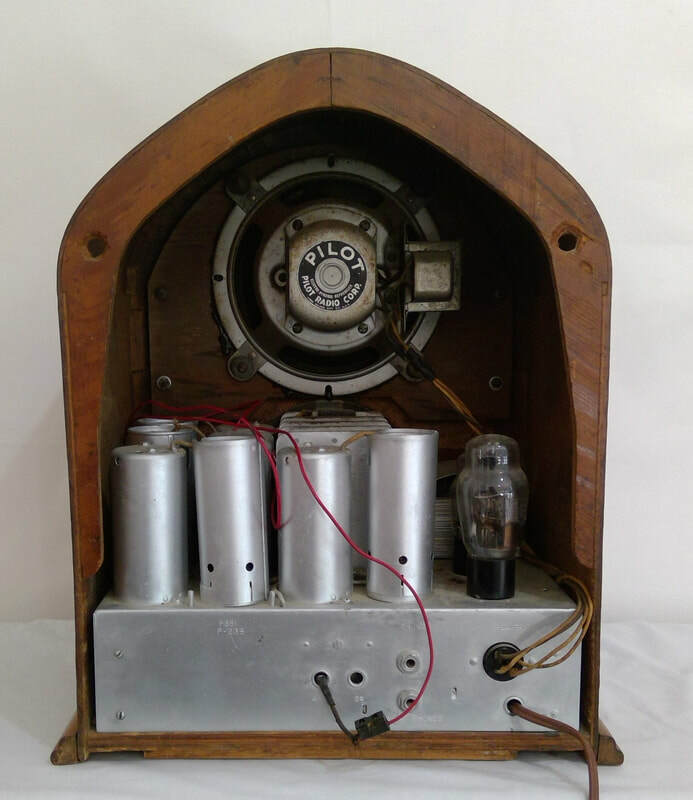 1933, model Dragon 7 Valve, radio manufactured by Pilot Radio & Tube Corporation, Lawrence, Massachusetts, USA. 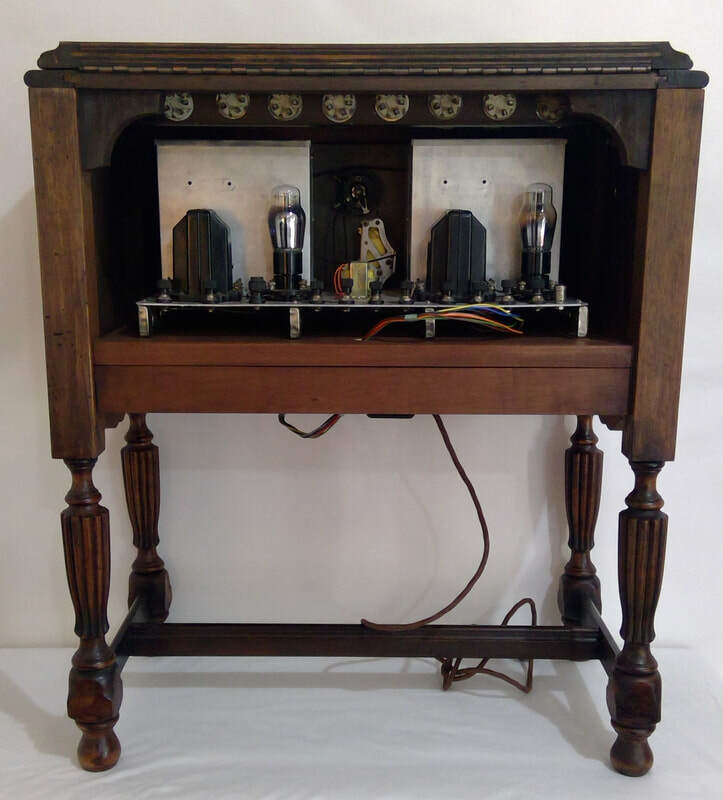 It is a super-heterodyne AC main (230 volts) with a 7 valve line up. The style is a cathedral mantle, wooden case construction. Dimensions (HWD) 484mm x 400mm x 270mm. 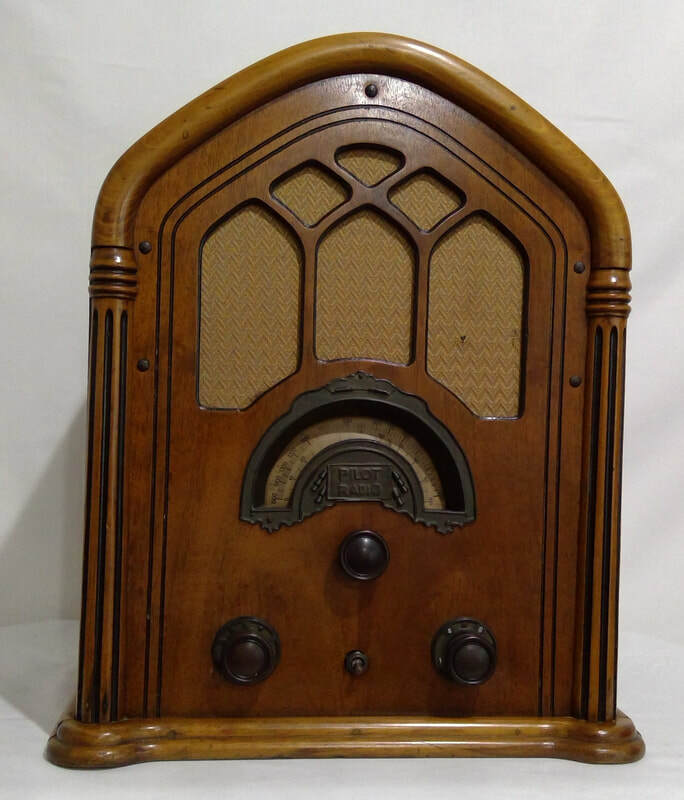 ​1931, model 40172, radio manufactured by Pilot Radio & Tube Corporation, Lawrence, Massachusetts, USA. It is a super-heterodyne with a 7 valve line up. The style is a cathedral mantle, wooden case construction. Dimensions (HWD) 460mm x 420mm x 260mm. 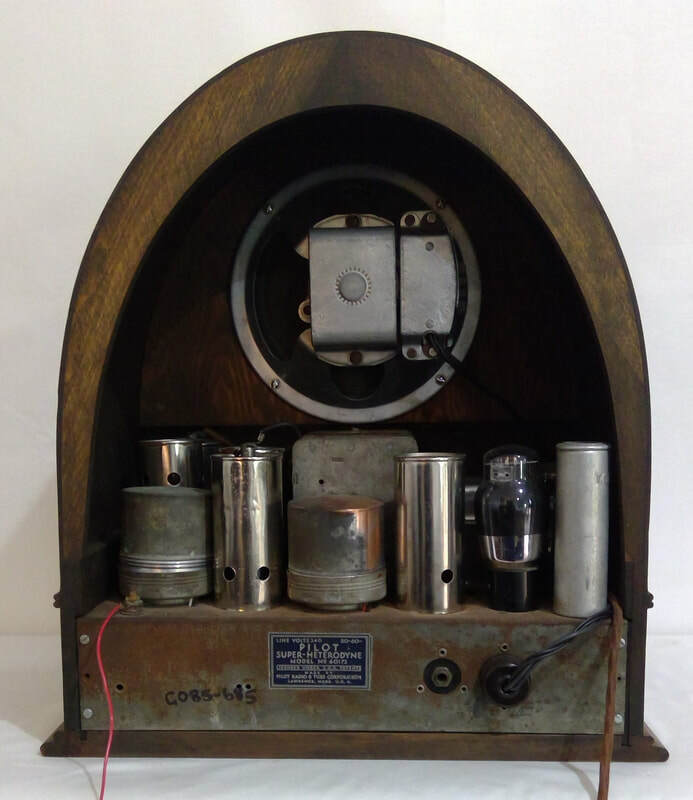 ​1927, model Super Wasp K-110, radio manufactured by Pilot Radio & Tube Corporation, Lawrence, Massachusetts, USA. It is a TRF with Regeneration 2 AF stage. It has a 4 valve line up. The cabinet is manufactured and designed for this Pilot. 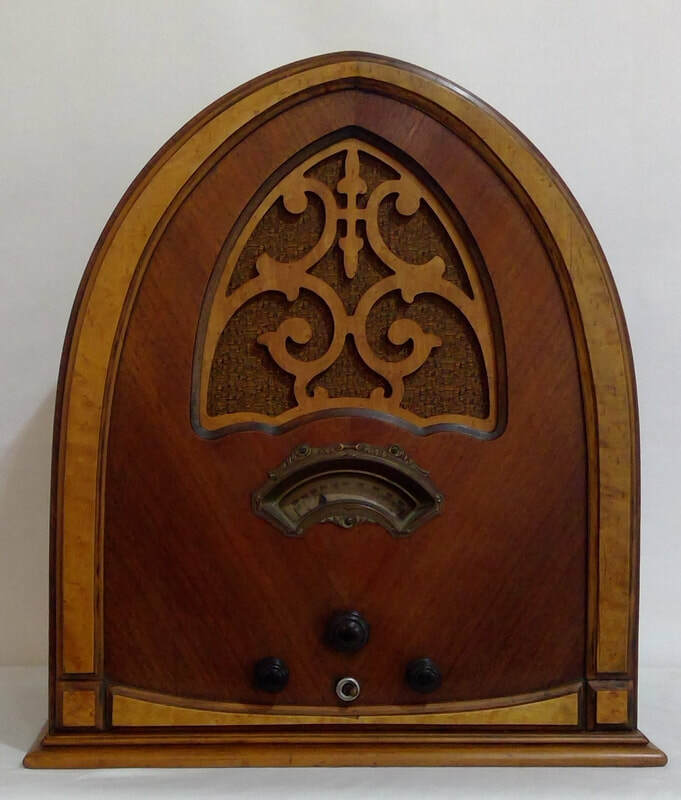 The style is tea side radio, lowboy and wooden case construction. Dimensions (HWD) 700mm x 590mm x 320mm.